This easy, homemade peach almond granola combines crunchy sliced almonds, dried peaches, oats, and spices for a fragrant, slightly sweet taste of summer any time of year. It’s easy to make granola at home. A little time up front and you’ll have a crunchy, whole grain snack that’s packed with heart-healthy goodness for weeks to come. With hurricane Irma making her way north and approaching Atlanta as a tropical storm, we’ve spent the day prepping a few no-cook food options and charging up the essentials like phones and lights. I’m also doing a bit of work just in case we don’t have power and Internet for a few days. I’m really hoping that won’t happen but I like to be prepared. I’ve wanted to share this recipe that I created for then client, California Almonds, earlier in the year on my blog for a while. 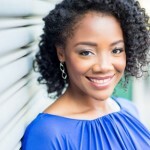 Now that peach season is officially over in Atlanta and fall is quickly approaching, now is the perfect time to show you just how easy it is to make. 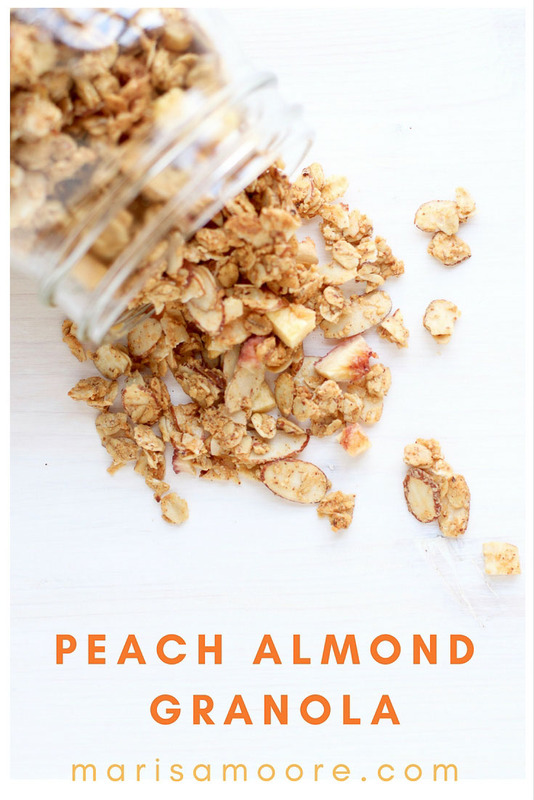 You probably have many of the ingredients at home to make this easy peach almond granola. You’ll just need to mix up a few sliced almonds, old fashioned oats, maple syrup, warm spices, and a little coconut oil. I used chopped dried white peaches. Peaches and almonds are a classic combo that doesn’t have to end when peach season does. You’ll spread the mixture onto a sheet pan in a single layer. Bake at 300 F and prepare for your house to smell amazing! Once the granola is done baking, eat some warm because no one should be deprived of such goodness. Then let the granola cool. Completely. If you put it away too soon, it will retain moisture – leaving you with soft granola that will spoil quickly. 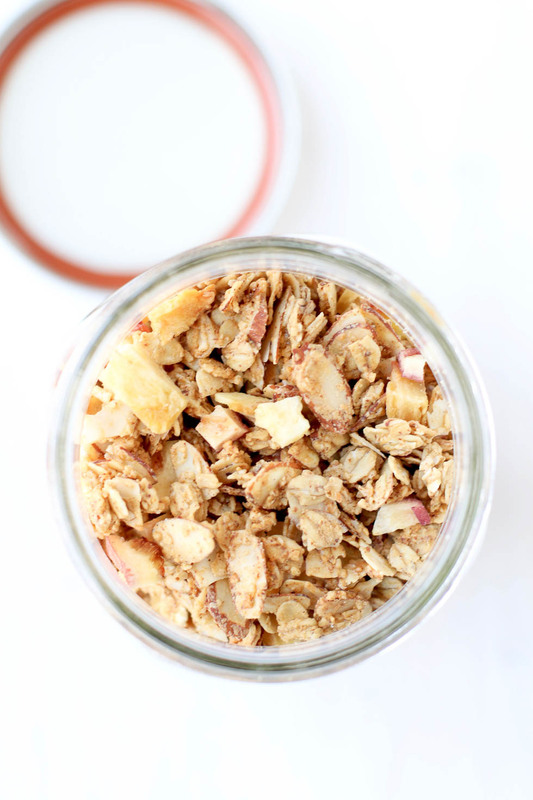 Once cool, store the granola in a glass jar with a tight lid. 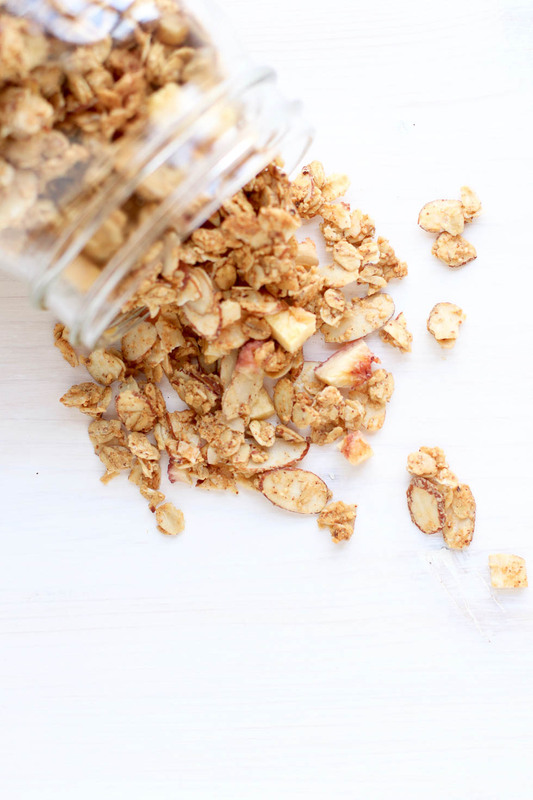 I like to add this easy granola to yogurt or simply snack on a handful at a time. Last time I made a batch it kept for several weeks in the pantry. Use old fashioned oats. Instant oats will likely cook too quickly and burn. They also won’t hold up well to the other heavy ingredients like the sliced almonds and dried fruit. Spread the granola thin. What I mean here is to make sure you leave space on the pan for the granola to bake and get crunchy. If there’s too much on the pan, the granola will steam and stay soft. Let the granola cool. This may be the most important tip of all. 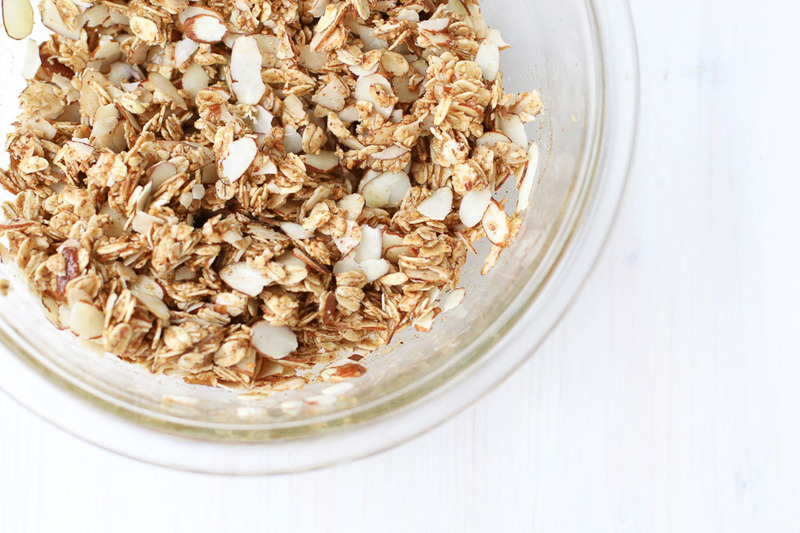 If you store the granola while it’s even a little bit warm, it will get soggy and spoil quickly. 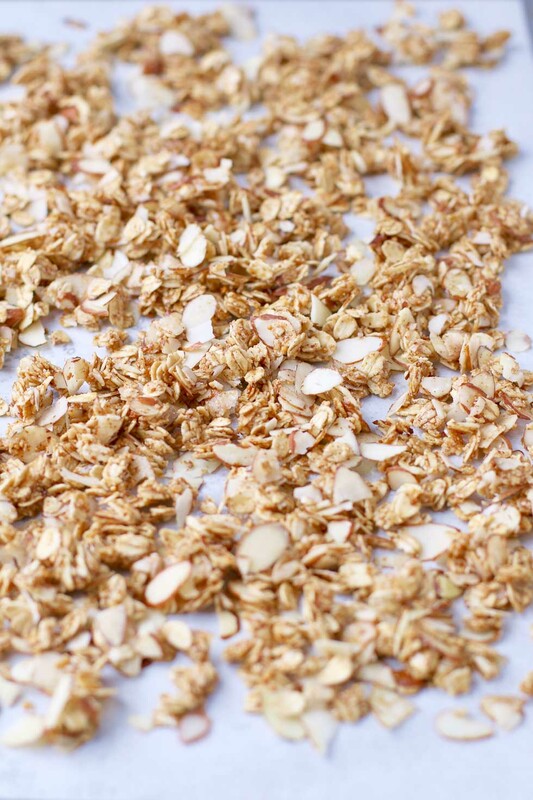 Have you made granola at home? Tell me how it went. What’s your favorite flavor combo? This peach almond granola combines crunchy sliced almonds, dried peaches, oats, and spices for a fragrant, slightly sweet taste of summer any time of year. In a glass mixing bowl, combine almond butter, coconut oil, and maple syrup. Microwave 30-45 seconds to slightly warm and loosen the mixture. Stir in vanilla, cinnamon, ginger and salt until smooth. Mix in the oats and sliced almonds. Transfer mixture to the prepared baking sheet. Bake 20 minutes, stirring after 10 minutes. Add the dried peaches and bake for another 5 minutes. Let cool completely. Store in a sealed jar. Crunch on this double almond granola by the handful, on a smoothie bowl or with yogurt. Yum, this was delicious when I had it with my acai bowl today! You've combined all of my favorite flavors in this tasty granola. I'm definitely making this one. I love granola but haven’t tried peach before, this sounds like a nice change. Looking forward to trying this recipe! This looks so, so tasty! I eat granola every morning, so I obviously need to make this. And I'll have to get dried white peaches. I've only had the yellow ones!